You know how painful it has been to get to this point, choosing to divorce. Now, you’ve got to face the process, the legal battles, the financial problems, the fights over custody and visitation. You need the best divorce lawyer in Oklahoma City to make sure that you don’t get lost in the legal system while you are dealing with what you need to deal with, including providing your children the support they need during such a difficult time. In this two-part series, we’re providing some tips to help make sure that the odds of getting a very good lawyer are on your side. Once you’ve covered all of the other basis, do a gut check. Do you believe what the attorney is telling you? Are you certain that they aren’t just telling you what you want to hear so they can close the deal? These are important questions to ask yourself. And, it is important for you to be realistic about what you need from an attorney. You need your divorce lawyer to tell you the tough truths, to make sure you understand the difficult reality you are facing, even when it requires a conversation that is challenging for you and for them. No one likes to deliver bad news, but your lawyer has to be tough and determined in the face of any legal problems. Show up at each attorney interview with a list of questions. Don’t get thrown off track. Don’t skip any questions. And, don’t make a decision until you’ve gone through this process with at least three potential attorneys. Those attorneys can even be at the same firm. But talk to three. Are some services based on a flat rate, if so, what is that rate and which services does it apply to? What is the hourly rate, and what types of services is that hourly rate charged for? Will there be associates working on your case? If so, are you going to be paying the same hourly rate for their time? Don’t be scared of a high hourly rate. If you’ve done the rest of your research you should be able to make an informed decision about whether that rate means a lawyer is more experienced and may actually save you money over the course of the process, or if they are simply charging a higher fee because they think they can. What is the lawyer’s case load? Are they able to take your case right now? How much time are they able to spend on it personally? And, how much of the work will they have to pass off to younger associates? What is their track record in past cases like yours? Are they familiar with local judges you may face? Do they have good relationships? How available will they be via phone or email? How involved will they want you to be in the process? What are the lawyer’s personal opinions about things involved in your case like custody agreements, alimony, or other things that are important to you. If you follow these tips, you should be well on your way to finding a lawyer who will do a good job representing your legal interests. 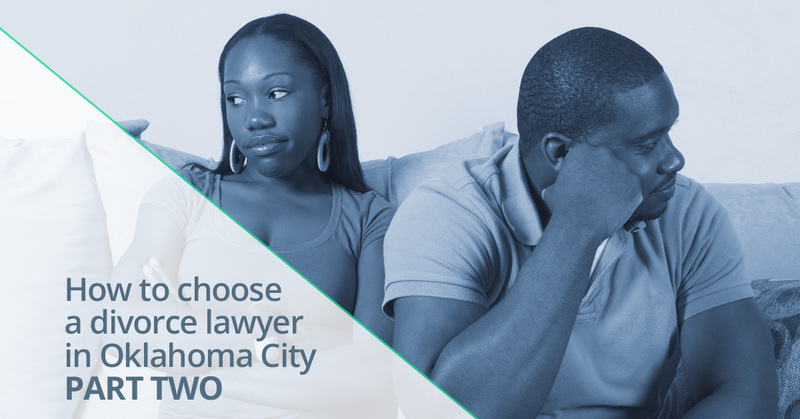 We hope that you’ll call our team at the Women and Children’s Law Center in Oklahoma City. Our only goal is to provide the best possible legal services for you and your children.